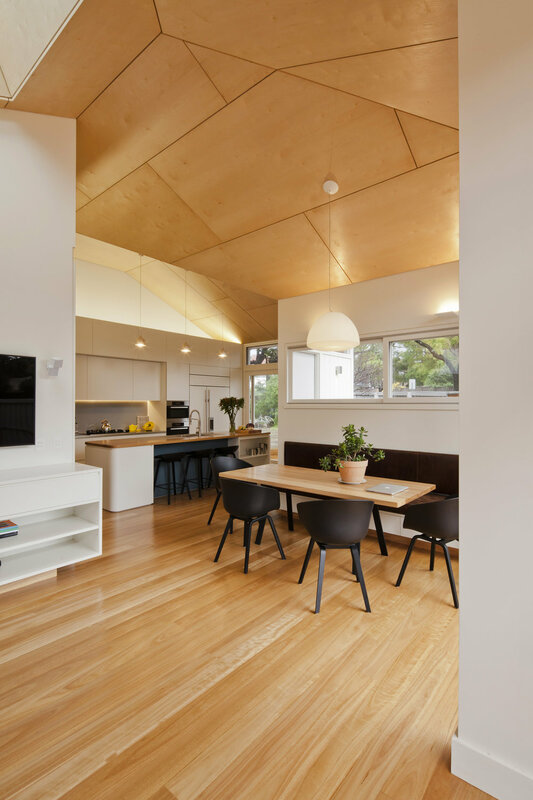 The Henson Street House transforms a traditional federation bungalow into a contemporary home for a young family. Located on a leafy corner site, the project establishes new connections with the surrounding garden by grafting a new open plan living area onto the rear of the original house. The design responds to the heritage streetscape by extending a pitched roof over the new addition, while a crisp palette of metal sheet roofing and white painted cladding provides a striking contrast to the existing facade. 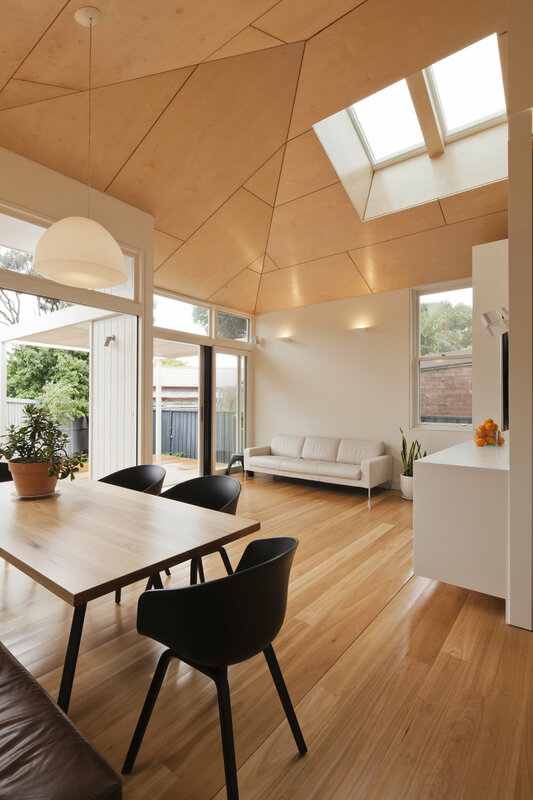 Internally, the fall of the roof is traced by a plywood ceiling that rises dramatically above the living area. The triangular site led to the development of a stepped floor plan that opens out onto a north facing deck. Full height glazing allows for the seamless transition of interior to exterior, while a deep skylight carved into the ceiling above the lounge draws natural light deep into the interior. 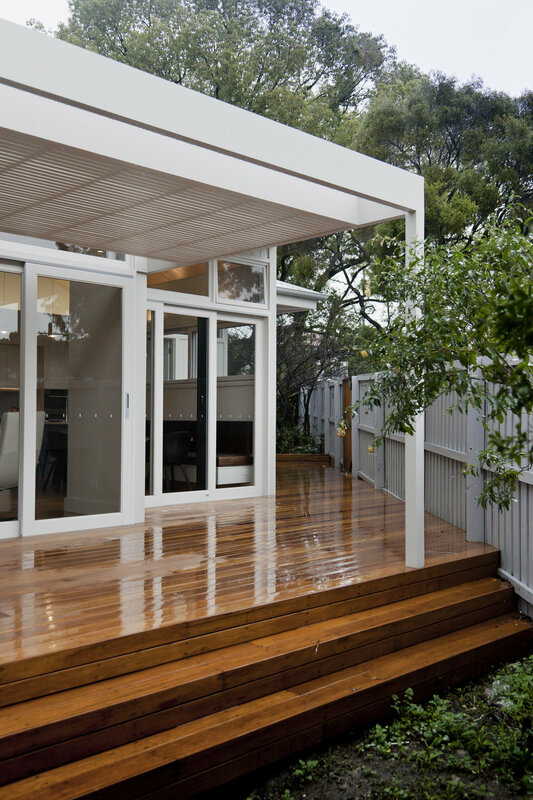 Polished timber flooring and custom designed joinery bring warmth and texture to the spacious living area. A banquette seat anchors the dining table in a sunny nook and open shelving allows the owners to add their own personal touch to the space. 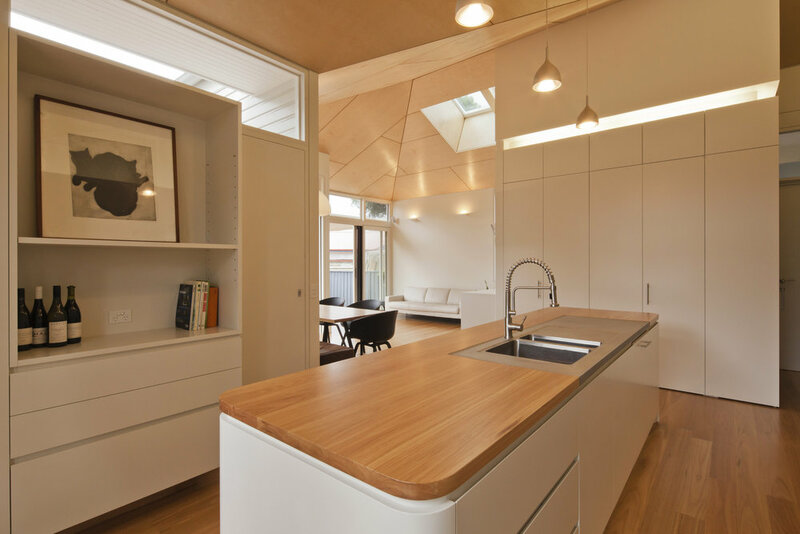 The kitchen lies at the heart of the home, with a gently curved island bench that forms the hub for daily family life.